This page describes the fifth step of creating a restore task with the New Task Wizard. Fifth step of the New Task Wizard is optional. 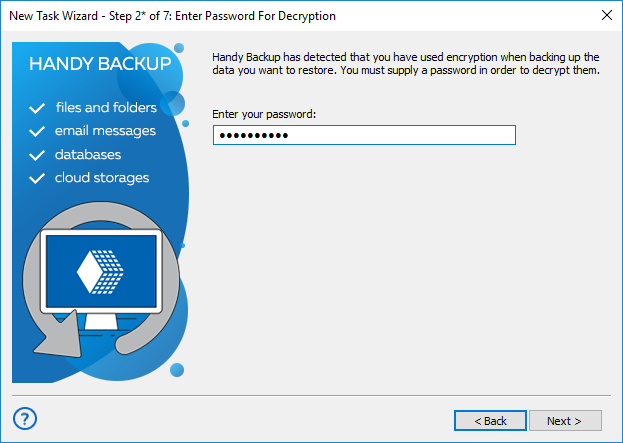 If backup is encrypted, you need to enter password for decryption. Enter the password, and then click Next.